The pros and cons of travelling with hand luggage only! If you didn't know already, I host a travel chat on Twitter called '#budgettravelhr'. We discuss tips for booking cheap holidays and travel in general. 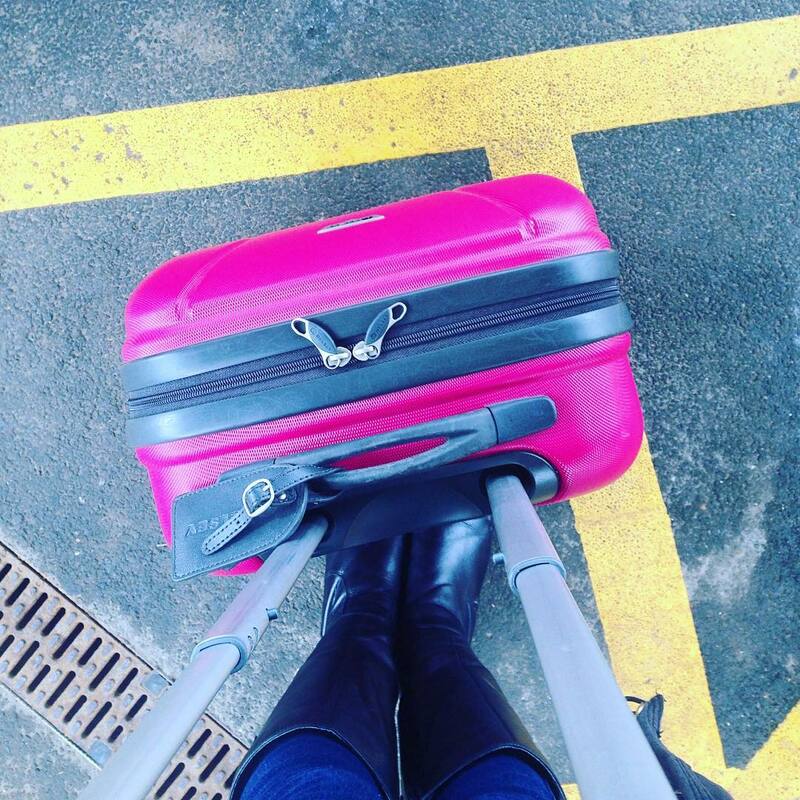 Last night we talked about travelling with hand luggage only, so I thought I'd talk you through the positives and negatives of this in today's post. 1. You save £15-£40 each way not checking in a bag (15kg bag, Ryanair). Ryanair's fees are based on the length of the flight, so there is slight variation in how much they charge per flight. 2. It restricts the amount of stuff you can take on holiday with you, so your bag is a lot lighter on travelling days. 3. You save time at the airport, as you don't have to check a bag in or wait for it to come through at baggage reclaim. 4. Your mini-case or rucksack can be stored above your seat on the plane, so it's always near you. 1. You can only take one small see-through bag's worth of liquid on the plane with you. This can be a real pain when you consider toothpaste, creams etc. 2. If there's too many hand-luggage suitcases in the queue ahead of you as you're waiting to board, your bag still might be checked in. This usually only applies if you've got one of the larger cases though! 3. Getting onto the plane takes a lot longer with a hand luggage case. I find it almost impossible to hold my items that I want to have with me on the flight, show the cabin crew my boarding pass and hold my case and handbag all at once. If you manage this easily, I salute you haha! 4. You don't have the space to pack everything into small bags and wallets. I find it harder to find my items when I'm using a hand luggage case because they just have to be packed in their smallest form possible and not in the usual containers I have them in. As you can tell, there are both positives and negatives to hand luggage only travel. If you want to save money, I'd say definitely travel with hand luggage only - even if packing is a bit more hassle that way. Do you like to travel with hand luggage only?